Two tourists found dead(Murdered) at Kiembeni, Bamburi in Mombasa county. - Bana Kenya News, Real African Network Tubanane. Home Mombasa Two tourists found dead(Murdered) at Kiembeni, Bamburi in Mombasa county. Two tourists found dead(Murdered) at Kiembeni, Bamburi in Mombasa county. 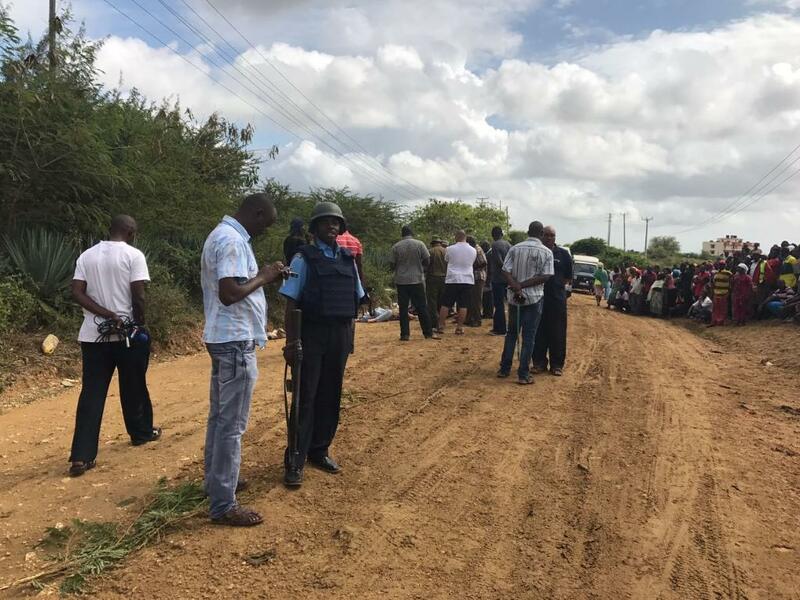 Kiembeni, Bamburi people in Mombasa wake up with two bodies dumped on the road. The Kiembeni residents have been living in fear as gangs found a safe place in the area. Lately, Two tourists - believed to be a couple - were on Sunday found murdered and their bodies dumped in Kiembeni, Mombasa. Kisauni police boss Christopher Rotich said they are yet to establish the nationality of the murder victims. He said the motive for the killings remains unknown. "Detectives have seized of the matter for fingerprints and traces of their last moves." The bodies, wrapped in a blanket, were spotted by pedestrians in the morning. Residents say the two must have been killed elsewhere before they were dumped in the area. "We are very sure these bodies are not from this area," said Karisa Ngao. Kiembeni is a forested area. Police urged those with big plots to ensure the parcels are not idle lest they become body dumping sites. The Residents called the police to stay active because they have slept in their work. The residents have been facing the troubles from the gangsters since the beginning of the year.